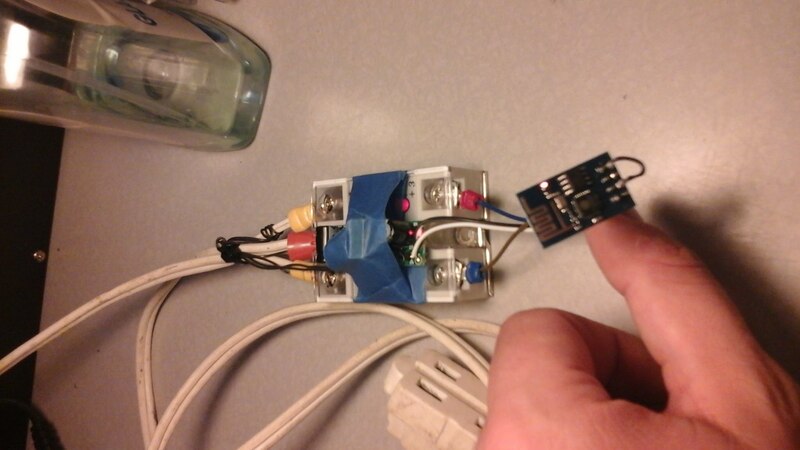 This project documents how I used a solid state relay to control 110v devices by modifying an extension cord and connecting a solid state relay. DANGER: High voltage electricity is dangerous. Do not try this at home. Only work with high voltage electricity with a licensed electrician. 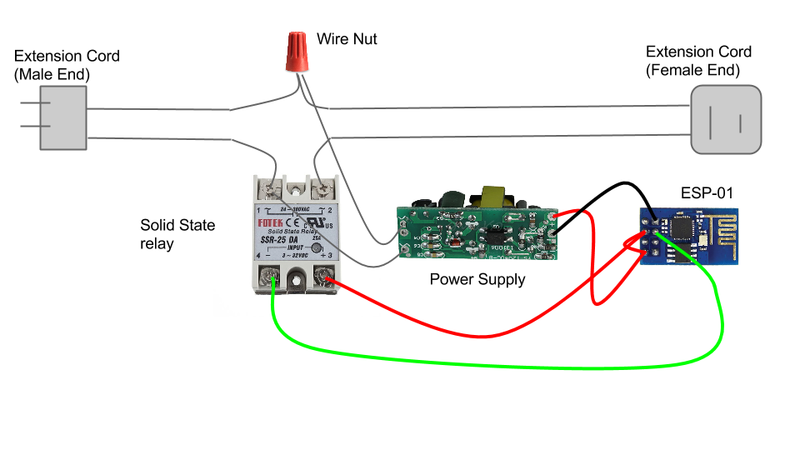 This project has enabled me to take control of many high voltage loads and control then from my computer and using the ESP8266 Run Basic Interface. Took me about 10 minuets to assemble one I got all the parts. I recommend that you program the esp-01 module before hooking it up as you will have to disconnect it if you wish to reprogram it.